Roberto Burle Marx (1909–1994) remains one of the most important landscape architects in the history of the field. His distinctive and widely acclaimed work has been featured and referenced in numerous sources, yet few of Burle Marx’s own words have been published. 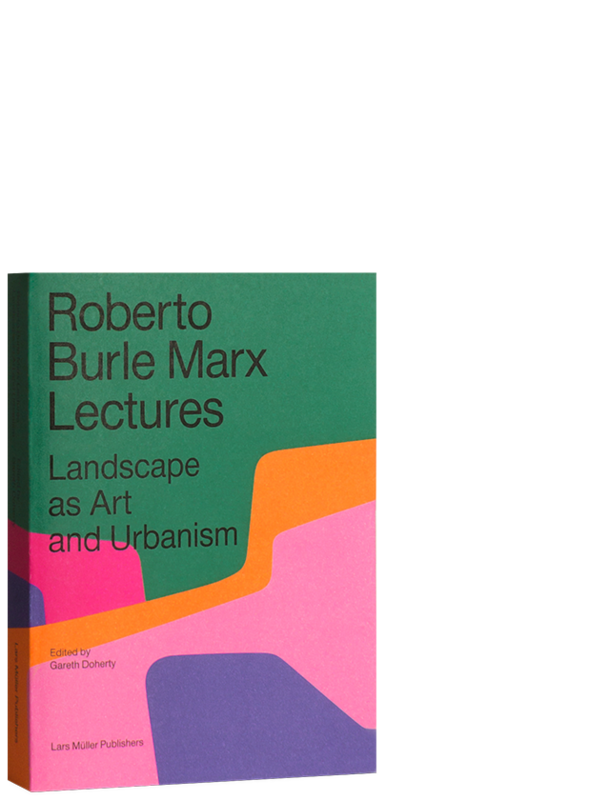 The lectures paint a picture of Burle Marx not just as a gardener, artist and botanist, but as a landscape architect whose ambition was to bring radical change to cities and society. The lectures are framed by photographs, by Leonardo Finotti, of a selection of Burle Marx’s realized projects. 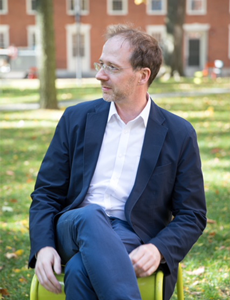 Gareth Doherty is an assistant professor of landscape architecture and senior research associate at the Harvard University Graduate School of Design, where he is also director of the Master in Landscape Architecture Program. He is author of Paradoxes of Green: Landscapes of a City-State, published in 2017 by the University of California Press. Previous publications include, Is Landscape . . . ? Essays on the Identity of Landscape, edited with Charles Waldheim (Routledge, 2016); and Ecological Urbanism, edited with Mohsen Mostafavi (Lars Müller Publishers, 2010, revised in 2016). Doherty is a founding editor of the New Geographies journal and editor in chief of New Geographies 3: Urbanisms of Color. Leonardo Finotti is a Brazilian photographer with an international reputation. Whether the results of commissions or his personal initiatives, his photos are published all over the world. His visual research revolves around cities and architecture, with solo and group exhibitions and works shown in important public and private collections. He runs obra comunicação, a collaborative communication office that produces articles, exhibitions, and catalogs. Previous publications include Futebol (Lars Müller Publishers, 2014) and A Collection of Latin American Modern Architecture (Lars Müller Publishers, 2016). Roberto Burle Marx was among the leading landscape architects of the twentieth century. Burle Marx's work encompassed a range of scales from private gardens, such as the Fazenda Vargem Grande and his home, Sítio Burle Marx, to urban squares and large-scale public projects, including Rio de Janeiro's Copacabana Beachfront and Flamengo Park, and the Parque del Este in Caracas. In partnership with Haruyoshi Ono from 1968, the significance of Burle Marx's landscape architecture is often attributed to his use of abstract curves and forms that rarely employ symmetry, and his use of tropical, mainly indigenous Brazilian, flora. Burle Marx was driven by a passionate agenda to improve and conserve landscapes and consequently the lives of the people who live in them.